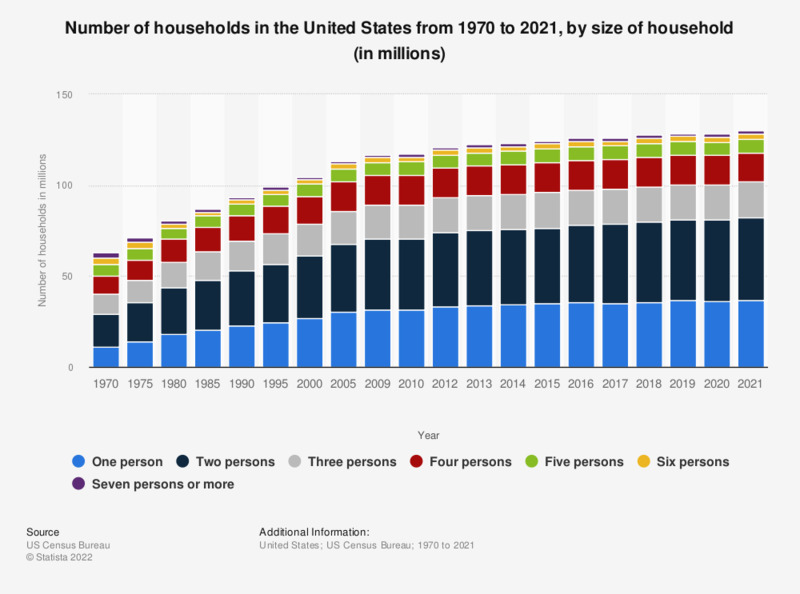 This graph represents the number of households in the United States by size of household from 1970 to 2018. In 2018, about 35.74 million people in the United States were living alone. The total number of households in the U.S. since 1960 can be found here. Data for previous years can be found here.